Tama was born at 41 weeks and after a long labour, Tama became distressed was born via emergency surgery. He was not breathing was placed in NICU on ventilators for 48 hours. He was a perfect baby. He never cried, slept a lot and was always smiling. It wasn’t until he wasn’t reaching his milestones that we became concerned. 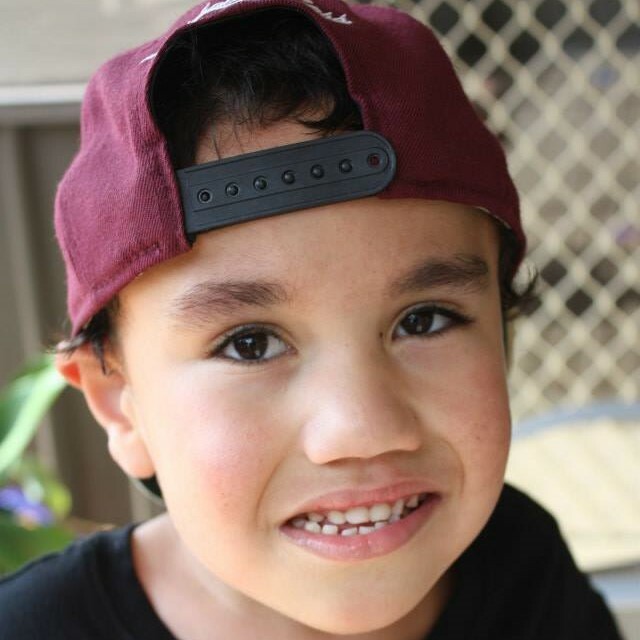 In 2009 Tama was diagnosed with a Global Development Delay and by 2011 (3 years old), he wasn’t talking, was displaying autistic behaviours, had low muscle tone and had poor gross and fine motor skills. A multidisciplinary team worked with him weekly but he had little improvement and his severe behaviours and poor sleep intensified. Finally, in 2013, after receiving significant psychiatric assistance and trialling numerous mediations, Tama was diagnosed with Smith-Magenis Syndrome via Microarray test. We have met amazing, supportive people since the diagnosis and although we were scared at first, we have hope that Tama will continue to improve. Medications have reduced his symptoms significantly, he speech has improved and he has more control over his emotional responses. Despite the challenges of SMS, Tama is a funny, loving, caring and compassionate little boy and we love him unconditionally. We are so grateful to have Tama in our lives. He has certainly opened our eyes to the world and to appreciate, love and respect one another.